ALLE DARSTELLUNGEN AUF DIESER WEBSITE SIND URHEBERRECHTLICH GESCHÜTZT. JEDE KOMMERZIELLE NUTZUNG UND VERVIELFÄLTIGUNG IST OHNE SCHRIFTLICHE ZUSTIMMUNG DES INHABERS DER URHEBERRECHTE UNZULÄSSIG UND STRAFBAR. INHABER DER URHEBERRECHTE, SOWEIT NICHT ANDERS ANGEGEBEN, IST ANTJE DAVID. THE RIGHTS FOR ALL MATERIAL ON THIS PAGE ARE RESERVED. ANY COMMERCIAL USE OF IMAGES OR TEXT FROM THIS PAGE IS NOT PERMITTED WITHOUT WRITTEN AGREEMENT AND MAY RESULT IN CIVIL OR CRIMINAL PROSECUTION. 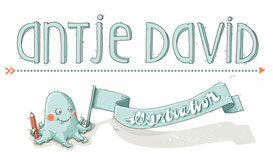 UNLESS OTHERWISE STATED, ALL COPYRIGHTS BELONG TO ANTJE DAVID. I CANNOT ASSUME ANY LIABILITY FOR THE CONTENT OF LINKED PAGES.